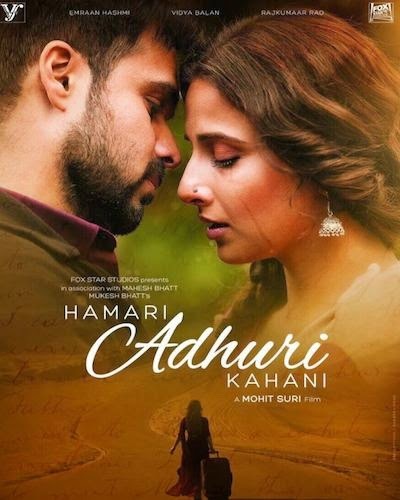 Hamari Adhuri Kahani is an upcoming Bollywood romantic drama film, which is directed by Mohit Suri and produced by Mahesh Bhatt under the banner Vishesh Films and Fox Star Studios. The film stars Emraan Hashmi, Vidya Balan and Rajkummar Rao in lead roles. It is based on the love story of Bhatt's parents, Nanabhai Bhatt, Shirin Mohammad Ali and his stepmother.The film is scheduled for release on 12 June 2015. Today we are sharing Lyrics of "Humnava Song" which is sung by Papon with music composed by Mithoon featuring Emraan Hashmi, Vidya Balan. The song is melodious and soulful which will make you fall in love.